This year, we’re rolling out a new formative assessment service called BHP Score. It’s pretty simple. And it’s free. If you want to use the service, submit your students’ Investigation essays as you finish Units 2, 6, and 9. A group of highly trained evaluators at Arizona State University will score each essay using the BHP Writing Rubric. Then, you’ll receive a report detailing how your class performed—as a group as well as individually. All at no cost to you or your school. We’re pretty excited to be offering this service and we hope it will be a real help to BHP teachers. The idea for BHP Score grew out of our ongoing research with the University of Michigan. For the past several years, we’ve been collecting writing samples to measure BHP students’ progress over the school year. (If you want to read the results for school year 2014/2015, you can find them here.) Because this was an anonymous academic research project, we weren’t able to share the results with the teachers whose students’ work was being evaluated. As we considered the results—which show that student writing does improve over the duration of the course—we asked ourselves how we could do even more to support student writing. The answer was simple. To get better at writing, students need more feedback on as much of their writing as possible, and they need it delivered in a clear consistent way. Now, the best feedback is going to come from someone who knows and loves each student—their teacher. Yet, for many teachers it’s simply not possible to grade more essays. We estimate it takes about 10 hours to grade the Investigation essays of just one class. There aren’t enough hours in the day for many of you. 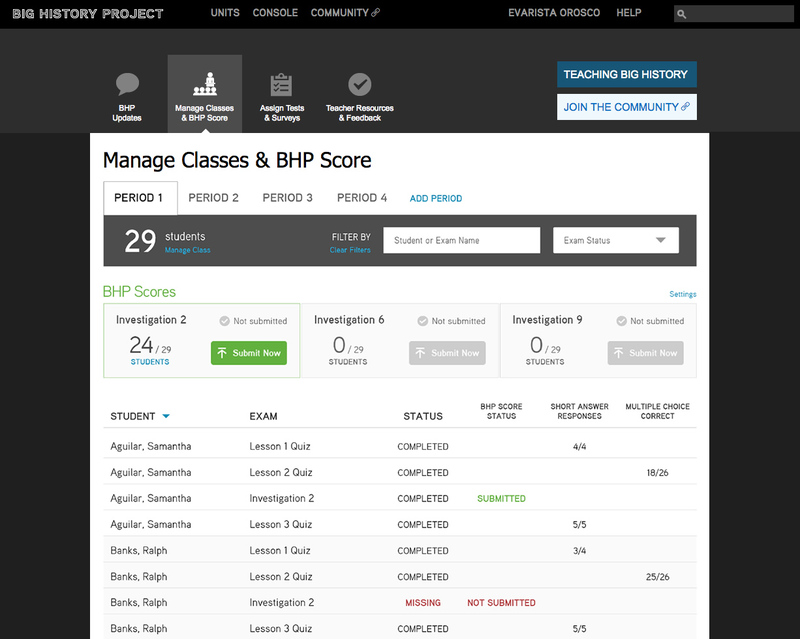 We designed BHP Score to be a formative assessment service. Our team at Arizona State will look at the first draft of your students’ essays, and you’ll take it from there. 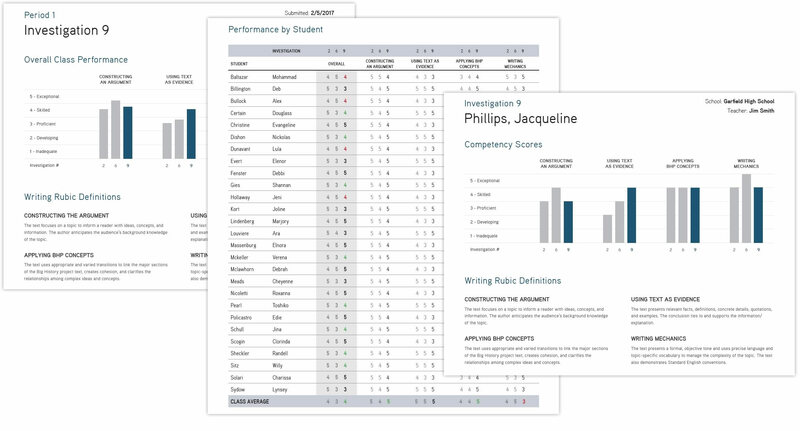 BHP Score creates an opportunity for you to review the rubric and our assessment of your students’ drafts, and then strategize with each student on ways to improve that particular piece of writing. All of the scoring in BHP Score is done using the BHP Writing Rubric. We’ve been using this rubric for the last several years to review use of evidence, reasoning, content, and mechanics in student writing. Thursday’s blog post will go into more depth on exactly how we score, if you’re interested in learning more. Keep in mind that BHP Score is designed for a class of ninth graders (ages 14 to 15). You may want to frame the discussion with your students if their writing is a little ahead or a little behind this level. BHP Score isn’t meant to replace the teacher. These scores aren’t meant to go into your gradebook. The best evaluation of student work will always come from you. We just want to help get the conversation started. If you’re already registered to teach BHP and want to learn more, check out the BHP Score Guide. If you’re not yet registered, click here to get more information and sign up.